Bob Mould lives defiantly in the present. As part of the seminal punk rock trio Hüsker Dü in the '80s and the propulsive power pop outfit Sugar in the 1990s, Mould could have easily kept either of those two bands on life support long after their sell-by date for the sake of making a quick buck. Fortunately, both of those bands folded long before they fell into self-parody and Mould has steadfastly refused any and all suggestions of a Hüsker Dü reunion (although drummer Grant Hart's 2017 passing has made that technically impossible, but I digress). It's this laser-eyed focus on the present (and future) that keeps Mould making top-notch solo albums, year after year, beginning in 1989 with the earnest, introspective Workbook. Occasional stylistic detours aside (his 2002 album Modulate was a curious – if polarizing – dive into heavy synths and dance rhythms, which he continued to a lesser extent on 2005's Body of Song), Mould's solo album blueprint has remained fairly consistent, not to mention refreshing in its simplicity. 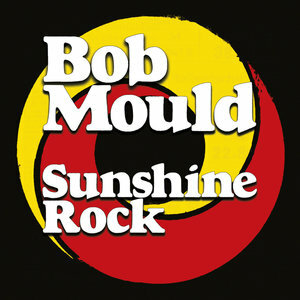 Bass, drums, guitar – lots of guitar – all filtered through Mould's remarkably sharp songwriting. If it ain't broke, don't fix it. While Sunshine Rock – his 13th solo album – doesn't reinvent the wheel, it signifies something of a reset for the 58-year-old Mould. A recent move from San Francisco to Berlin, where he currently resides, was an opportunity to for Mould to recharge his batteries while focusing on – to quote an overused millennial phrase – "living his best life". His 2014 album Beauty & Ruin was released after the death of his father and the somewhat darker tone of 2016's Patch the Sky was the result of his mother's passing. On Sunshine Rock, Mould seems to be making music for himself. And while there's a positive tilt to a lot of the album, Mould also seems to acknowledge loss, particularly in the form of personal relationships. But he confronts them in an adult manner, looking for possible solutions and salvaging what can be salvaged. This more positive, life-affirming stance is evident immediately as the title track chugs away with Mould's slashing guitars combining with his longtime trusty rhythm section of Jason Narducy on bass and Jon Wurster on drums. A light dusting of strings can be heard beneath the noise, sweetening the air, as Mould sings of simple yet meaningful pleasures. "We watch the fireworks in an open field /And stay so late we miss the train/ We grab a taxi on the busy busy street / And race across the city once again." Even on a song like "What Do You Want Me to Do", which sounds like a heated lovers' quarrel, the debate is framed by hope. The title is self-explanatory as the accusations are hurled. "Hope your weekend in the wilderness / You got your peace, love and happiness / But now you're home and I'm a total mess / What do you want me to do?" The music ratchets up the intensity, pummeling furiously. Similarly, an old school punk/thrash sensibility informs the bleak breakup song "Thirty Dozen Roses", with its breakneck tempo acting as catharsis. With guitar, bass and drums certainly taking center stage, there are plenty of moments where other instruments and voices are given space for a wider sonic palette. Keyboards tastefully weave in and out of the album, and on a song like "The Final Years" they give the song a lush sheen while diminishing none of the typical urgency you'd expect from Mould's music. The snarl of "Irrational Poison" is tempered by Narducy's vocal harmonies in the chorus, showcasing Mould's love of classic pop arrangements. On "Camp Sunshine", Mould seems to be taking the rare look back, reflecting on fond childhood memories while the music takes an appropriately lighter approach. But this is, after all, a Bob Mould album, and without a heavy dose of electric guitar riffs and a pounding rhythm section, it wouldn't be the same. "Sin King" slows down the tempo to a quasi-funk groove, but the band still thrashes away. "Sunny Love Song" recalls the punk spirit of Mould's classic Hüsker Dü days, and – much like those game-changing albums – melodies and hooks bring everything around to early inspirations like the Byrds and Pete Townshend. On the subject of early inspiration, Mould digs deep for the album's one cover song – "Send Me a Postcard", a 1968 single by the Dutch psychedelic outfit Shocking Blue – and brilliantly retrofits it for his 21st century garage-punk aesthetic. Like the best covers, it's an obscure choice and one that's executed with a unique stamp and the breathless enthusiasm of a fan. Late last year on his website, Bob Mould wrote: "So much of what I do with music and art is about trying to heal myself. I aspire to make things that will have lasting value in my life." Typically, Sunshine Rock is the sound of a man creating art based on his experiences and surroundings. By the sound of it, things are very good indeed, and Mould is only too happy to share this experience with us.